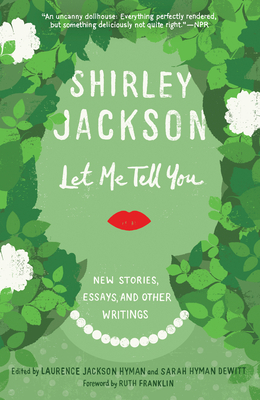 Laurence Jackson Hyman, the eldest child of Shirley Jackson and Stanley Edgar Hyman, has spent most of his professional life in publishing: as writer, photographer, editor, art director, and publisher. He is the author, editor, or co-editor of dozens of books and monographs. Sarah Hyman DeWitt is the third child of Shirley Jackson and Stanley Edgar Hyman. She is a performer, folksinger, and artist. Ruth Franklin is a book critic and the author of A Thousand Darknesses, which was a finalist for the 2012 Sami Rohr Prize for Jewish Literature. She has written for many publications, including The New Republic, The New Yorker, The New York Review of Books, The New York Times Magazine, Bookforum, and Granta. She is at work on a biography of Shirley Jackson.